Tariffs may inch up because of the devaluation of the hryvnia. 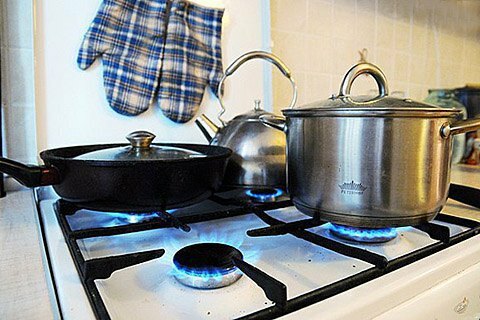 Ukraine and the International Monetary Fund (IMF) have agreed on new terms of revision of the utility gas tariffs starting 1 April this year. The amended Energy section of the Memorandum on cooperation between Ukraine and the IMF provides that starting 1 April the revision of prices depending on changes in the cost of imported gas will be held not on quarterly basis but twice a year based on the average price of imported gas over the period. Given the extended period of tariff revision, it is unlikely that the average price of imported gas will change significantly in April, but can see a slightly rise due to the devaluation of the hryvnia. On May 1, 2016, Ukraine set a single price for the population at UAH 6.9 per one cubic meter. The increase in gas tariff was part of Ukraine's commitments before the IMF. The previous Cabinet had planned to implement the policy in 2017, but the Groysman's government argued that the 2016 increase will bring gas price to a market level. Earlier, the commercial director of the Naftogaz Group Yuriy Vitrenko said that utility gas bills from could soar by 40% in April. Prime Minister Groysman has pledged not to allow this.